An action-packed hard science fiction novel full of technological militaristic vehicles, a strong female lead (who would make MacGyver proud), and surprising plot twists. The book follows the journey of Sergeant Danika Fargo after a mysterious vessel crashes on the strategic military base on the Venus-sized moon called Indigo 99. Even though the story is set in the year 2302, many technological upgrades have occurred, but humankind is not overly reliant upon technology due to a singularity event several centuries beforehand. The Earth Government has colonized hundreds of worlds, with Indigo 99 being one of the most important and most habitable. The resourceful Fargo must draw upon her extensive engineering and survival mindsets to determine what is happening on her beautiful lunar homeworld and around the Galaxy. The novel is hard science fiction and includes many technological and engineering principles along with a fast-paced and intriguing storyline. 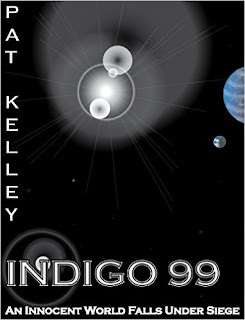 If you enjoyed The Martian, you will love Indigo 99.